Stop #13 is the site where there used to be a bridge. Look over the railing, you can see the remains of the bridge that connected Eastport to Annapolis. In fact there were 2 bridges here. The first one, built in 1873 of wood, was a fixed span. Only small rowboats and skiffs could slip underneath to get up the creek. 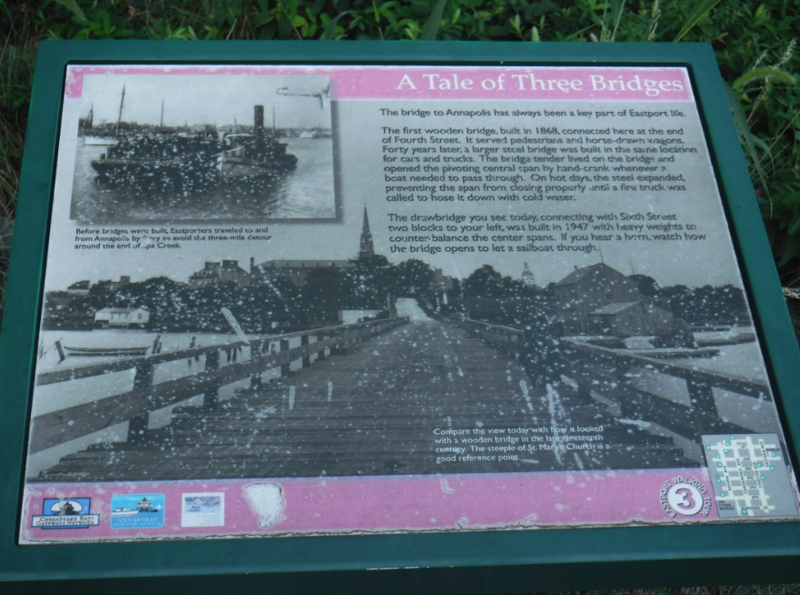 In 1907, it was replaced by a steel bridge that had a pivoting central span that swung open by a hand crank whenever a boat needed to pass through. The drawbridge you see today, connecting with Sixth Street two blocks to the left, was built in 1947. The move of the bridge cause the move of businesses away from Fourth Street, which had served as Eastport's "downtown" for decades. One of the businesses that remained here was Leon Wolf's barbershop, a focal point of Eastport culture for 68 years. 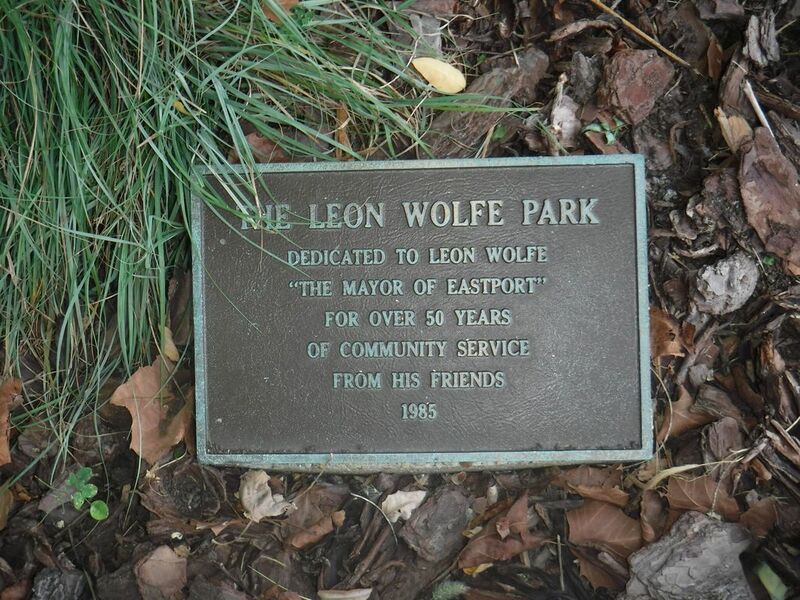 This park is dedicated in Leon's memory. Stop #14 - The area now known as Eastport was once owned by Benjamin Ogle, Governor of Maryland from 1798 to 1801, and his wife Henrietta Margaret Hill Ogle. Ogle used the pastures here to raise some of the first thoroughbred horses in America. During the Revolutionary War, the Marquis de Lafayette encamped on this spot with 1200 Continental Light Infantrymen. They had sailed down the Chesapeake Bay on a flotilla of Maryland ships in the spring of 1781 and stopped here on their way to defeat the British at Yorktown. Two centuries later, when repairs closed the bridge in 1998, citizens of Eastport revolted again and staged a mock secession from the City of Annapolis to form the Maritime Republic of Eastport. The MRE holds annual events like the .05K Bridge Run and the Tug of War across the harbor, known here as the "Gulf of Eastport." While these events have raised thousands of dollars for local charities, many Annapolitans think Eastporters are still revolting.